Sample of our textile: strong, chic, easy to use, and a fire resistant materials. Several colors are available. We are always ready to do whatever you want to achieve your willingness. Our team members seek to give you the best quality. Our Tents with its colors and textiles can give you a comfortable feeling with nice relation with its surrounding. Stylish tent with several attractive colors, being opened and closed according to the weather. 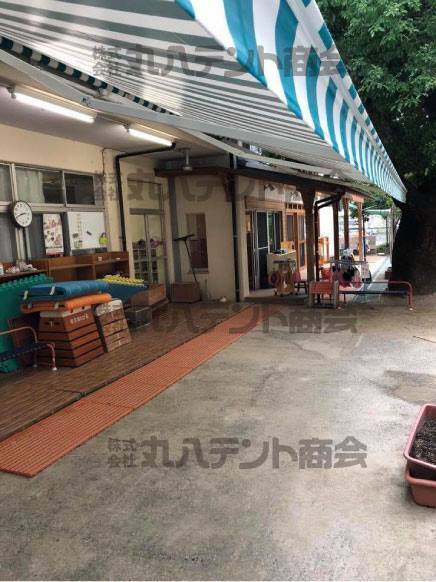 Awning tent used in a kindergarten. As you can see in this photo, we can make cute one. 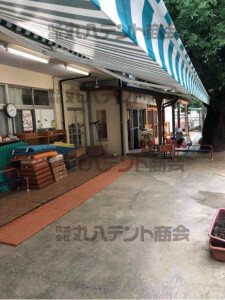 This is an awning tent named エルパティオプラス（erupatio plus） that fits Cafe and terrace and whatever. 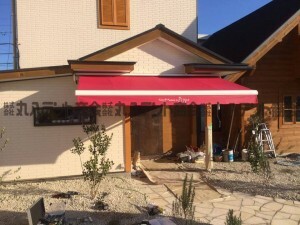 What’s awesome about this awning is that it can adjust its angle depending on location of a sun! We provide any kinds of tents that satisfy customers.